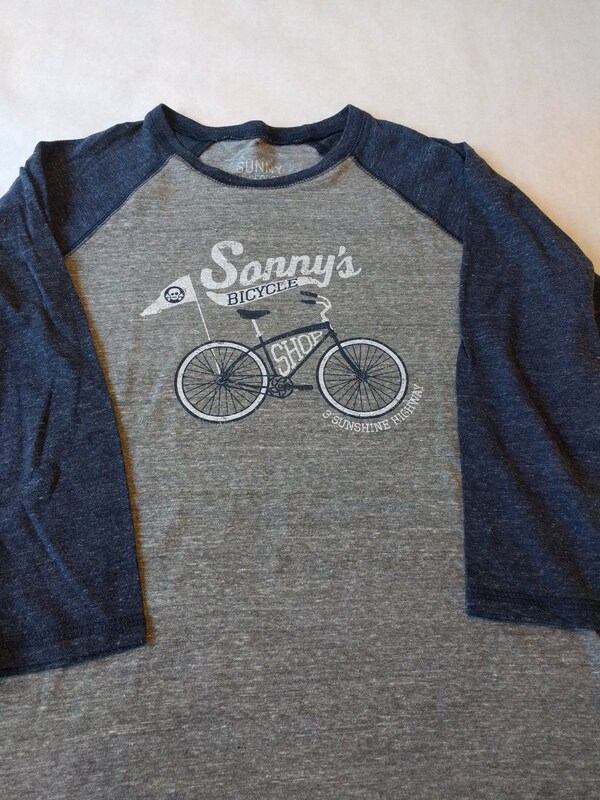 Sunny in Georgia's "Sonny's Bicycle Shop" made in the USA 3/4 sleeve triblend tee. Offered in blue or red sleeves with screen printed graphic on front center. Super comfy! 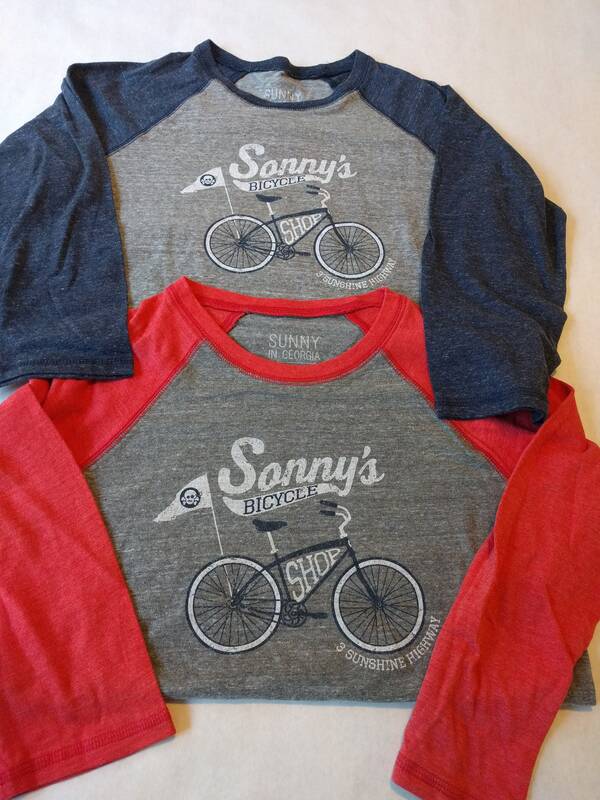 Also available in baby/youth sizes (so you can get matchy matchy)!